Those faults, which involve only one of the phase conductors and ground, are called ground faults. Faults involving two or more phase conductors, with or without ground, are called phase faults. Power systems have been in operation for over a hundred years now. Accumulated experience shows that all faults are not equally likely. 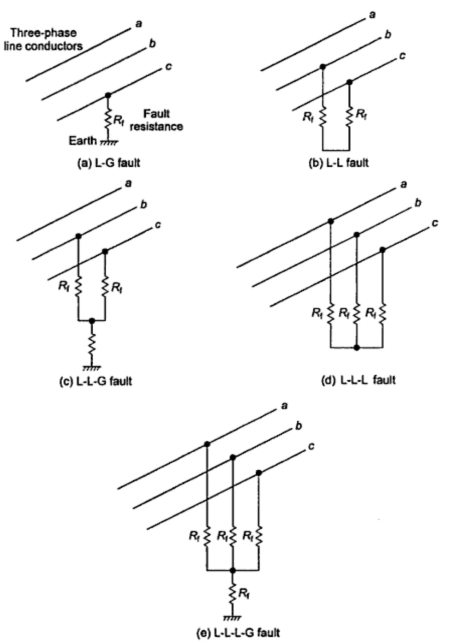 Single line to ground faults (L-G) are the most likely whereas the fault due to simultaneous short circuit between all the three lines, known as the three-phase fault (L-L-L), is the least likely. This is depicted in Table 1. Further, the probability of faults on different elements of the power system are different. The transmission lines which are exposed to the vagaries of the atmosphere are the most likely to be subjected to faults. Indoor equipment is least likely to be subjected to faults. The fault statistics is shown in Table .2. The severity of the fault can be expressed in terms of the magnitude of the fault current and hence its potential for causing damage. In the power system, the three-phase fault is the most severe whereas the single line-to-ground fault is the least severe. A fault is accompanied by a build-up of current, which is obvious. At the same time there is a fall in voltage throughout the power system. If the fault is a metallic fault, the voltage at the fault location is zero. The voltage at the terminals of the generator will also drop, though not drastically. If the source is ideal, there will be no drop in voltage at the generator terminals. Normally the relay is away from the fault location. Thus, as seen from the relay location, a fault is characterized by a build-up of current, and to a certain extent, collapse of voltage. Figure 1. depicts various ground faults as well as phase faults. Figure 2 depicts a radial power system with a fault near the remote end of the transmission line. It can be seen from the phasor diagram that the voltage at the relay location during fault is less in magnitude than that during the pre-fault condition and also lags its pre-fault value. In order not to clutter the diagram, only phase a voltage is shown. 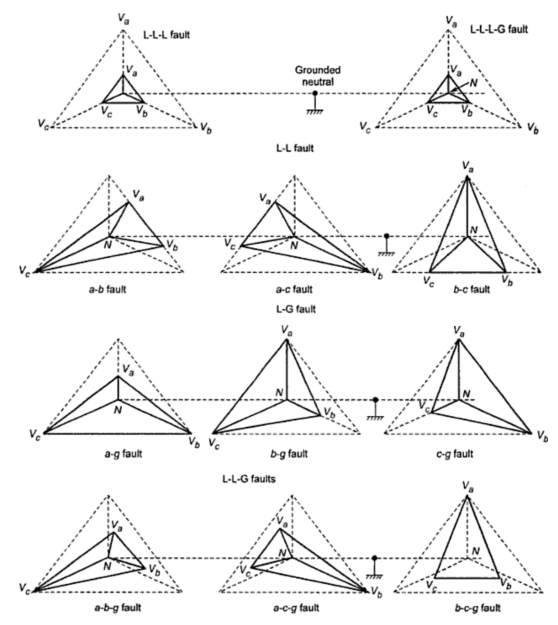 In Figure 2, the distortion in voltages during all the 11 shunt faults are considered. 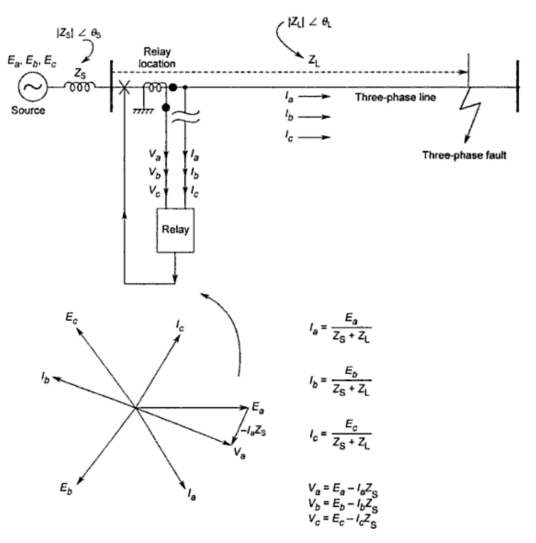 Fig 3 Fall of voltage at the relay location shown on single line diagram of a three-phase system. Series faults are nothing but a break in the path of current. Normally such faults do not result into catastrophes except when the broken conductor touches other conductor or some grounded part. It is observed in practice that most of the open conductor faults sooner or later develop into some or the other short-circuit fault. However, there are some instances where an open circuit can have dangerous consequences For example, the secondary circuit of a current transformer and the field circuit of a dc machine if open circuited, can have dangerous consequences. what book did you get the statistics?